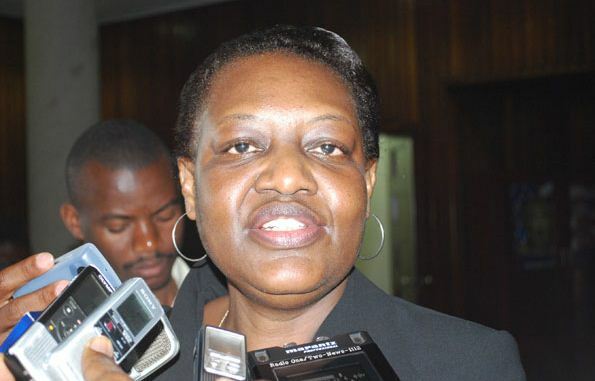 KAMPALA – The Inspector General of Government (IGG) Ms. Irene Mulyagonja has decried the continued ignoring of her recommendations among the Ministries, Departments and Agencies saying the vice is worsening in each financial year. Ms. Mulyagonja’s frustrations were contained in the 2019/2020 Ministerial Policy Statement for the Inspectorate of Government that was presented before the Legal and Parliamentary Affairs Committee ahead of passing the National Budget in June this year. The IGG also raised concerns on the budget cuts revealing that in the last three financial years, the Non-Wage Recurrent budget allocation to the Inspectorate of Government has reduced by UGX1.68b that is from UGX19.72b in 2017/2018 to UGX18.04b in 2018/2019. However, fixed costs which constitute over 85% of the non-wage recurrent budget namely 30% gratuity, 10% NSSF contributions, rent utilities and investigations have increased to UGX15.4b. The above conditions have left the institution with funding gap of UGX2.3b for operational expenses for a number of items. Among the items affected by budget cuts include; travel inland for investigations, prosecution and enforcement of leadership code UGX1.3b, vehicle maintenance tyres, servicing and repairs for 109 cars UGX542m, and fuel UGX510m. The IGG also joined the other Government officials raising concerns about the rate at which new administrative units are being formed especially in the last three years where the number of local governments districts, municipalities, town councils and sub-counties has significantly increased which has increased workload yet the capacity of the IGG to handle corruption and ombudsman complaints has not commensurately changed to match with the increasing workload. She argued that as much as the 16 regional offices have hosted five technical staff for each regional office, the Inspectorate is seeking for UGX4b for recruitment of additional 30 staff to deal with the increasing workload. Ms. Mulyagonja also decried delays in the judicial process, arguing that although Government established the Anti-Corruption Division of the High Court which significantly shortened the period taken to complete prosecution of corruption cases, the Court isn’t immune of cases face delays in court of justice for various reasons including but not limited to transfer judicial officers and continuous adjournments and lack of quorum.